Preparing to place your home on the market can be a stressful experience, especially when determining how to increase its value, as you want your home to worth more than when you bought it. While some factors that determine what a house is worth are out of your control, like its location and the housing market, increasing its value is not as cut and dried as it may seem. There are lots of repairs and improvements that homeowners may consider great investments for increasing their home’s value, but making the right changes to your home can guarantee increased value as there are specific updates that can get you even more money out of your home. Here are five of the most valuable repairs that can increase the value of your home. Home Windows top almost every list for home improvement options for increasing property value. Studies show that replacing old windows can give you up to 89% return on your investment. Not only replacing your old windows with new ones are a good investment but you can also select windows that capture more natural light in your home, such as energy efficient windows. Such windows do not only allow natural light to get in, but also block the harmful UV rays from entering the house. Duration needed for this project: In occupied and furnished houses, a crew can typically install around 400-600 square feet of laminate, hardwood, or resilient, and about 200-400 square feet of tile or stone. Replacing outdated carpet or flooring, or simply refinishing floors that have seen better days, will definitely increase the value of your home, with a 102% return on investment. New flooring adds more elegance and natural charm to virtually any room in the home. Aside from its beauty, flooring offers style and versatility, allowing you to decorate and redecorate without having to perform costly renovations. While adding new hardwood floors would cost you more than a carpet, in the future, it will save you a lot of money. Getting a new roof might not be at the top of the list of things you want to do before you sell, but it could be the best decision you make. As a new roof could immediately boost the curb appeal and resale value of any home. Endless choices come with roofing, you can even find eco-friendly roofs, green roofs, energy-saving roofs, and much more with the right roofing contractor. It could give you the edge you need to keep your time on the market short, or maybe even to start a bidding war. Having that safety advantage in a home is an attractive feature to a lot of potential homeowners. On the other hand, you should consider thinking about ways to make your home security system smarter with technology. When it comes to modern home security, automation is everything. 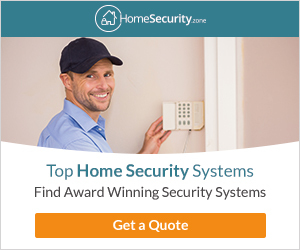 There are tons of smart home security systems that allow you to do almost anything from a remote location such as to activate the alarm, lock doors, turn off appliances. Buyers will be far more willing to make an offer on a home that offers smart tech protection and security. While smart technology is definitely a desirable security feature, there are other ways to update your home’s security as security cameras and motion light detectors. Today, energy conservation has become more important than ever for many homeowners. Installing a home solar system may provide long-term benefits to your household as it reduces energy bill costs but there’s another financial perk to consider. As potential home buyers are willing to pay more for a home with solar panels and therefore solar savings. Multiple studies have shown that homes with solar panel systems are valued and sold at prices above similar homes in their area. It was also found that home values increase by 4% or more when homes are equipped with solar panels.